Lettuce is not usually a vegetable we think of when planning a summer garden in the Sacramento area. 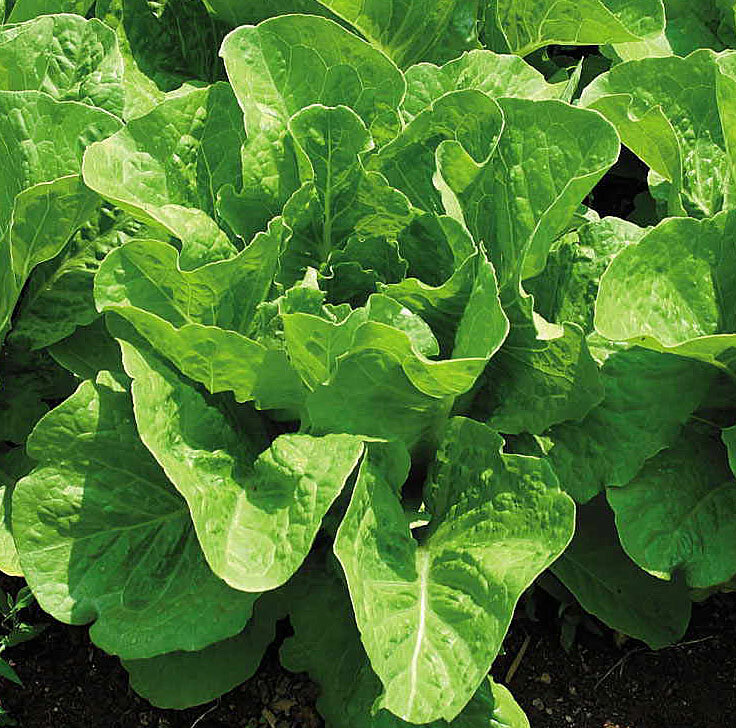 It is a cool season vegetable, sensitive to high temperatures and dry soil. 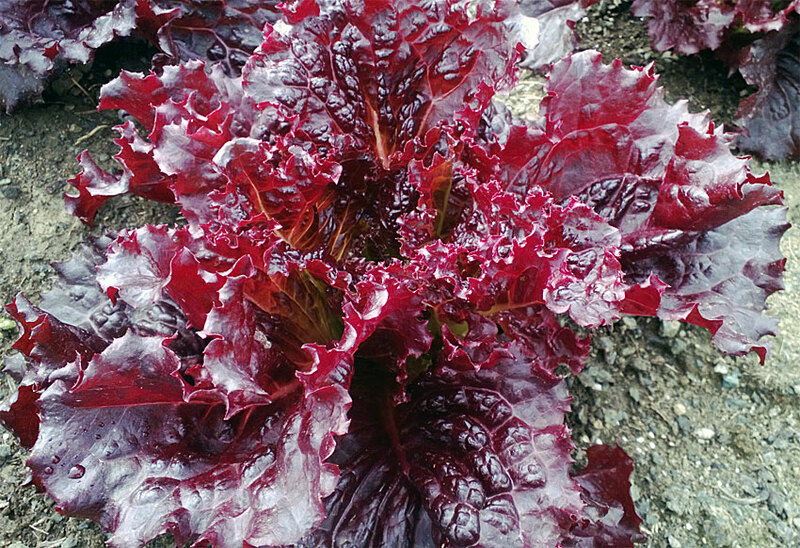 In the vegetable garden at the Fair Oaks Horticulture Center during the summers of 2015 and 2016, we decided to take on the challenge of demonstrating what it takes to grow those beautiful green and red leaves for salads and sandwiches. 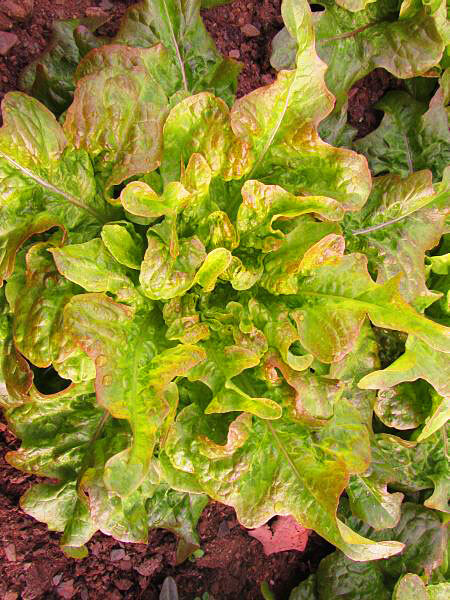 High temperatures and how lettuce responds to them are the biggest factors to deal with. Lettuce seeds germinate poorly in warm summer soil since heat may cause seed dormancy. 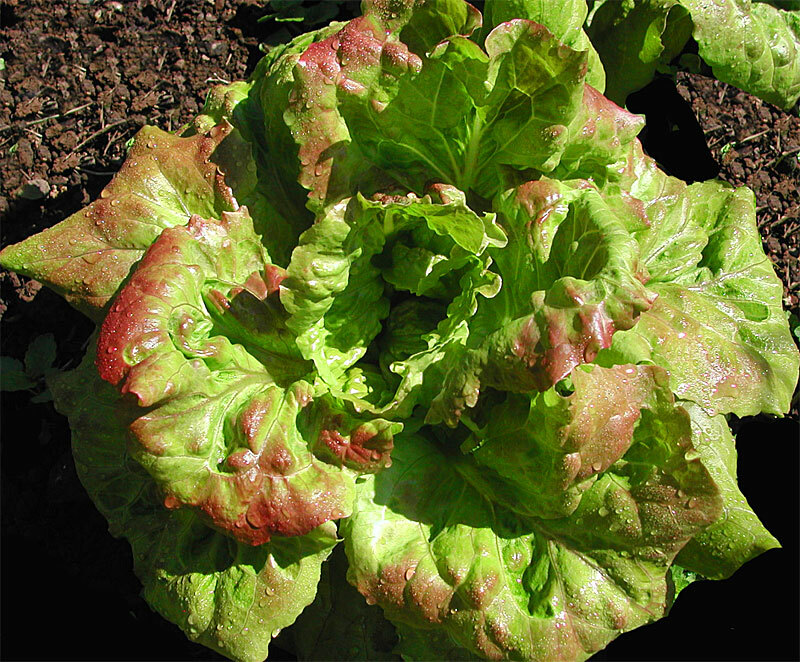 Lettuce may bolt in response to the stress of high temperatures, and the leaves may become bitter as the plant puts its growth into flowering (see photo at right). 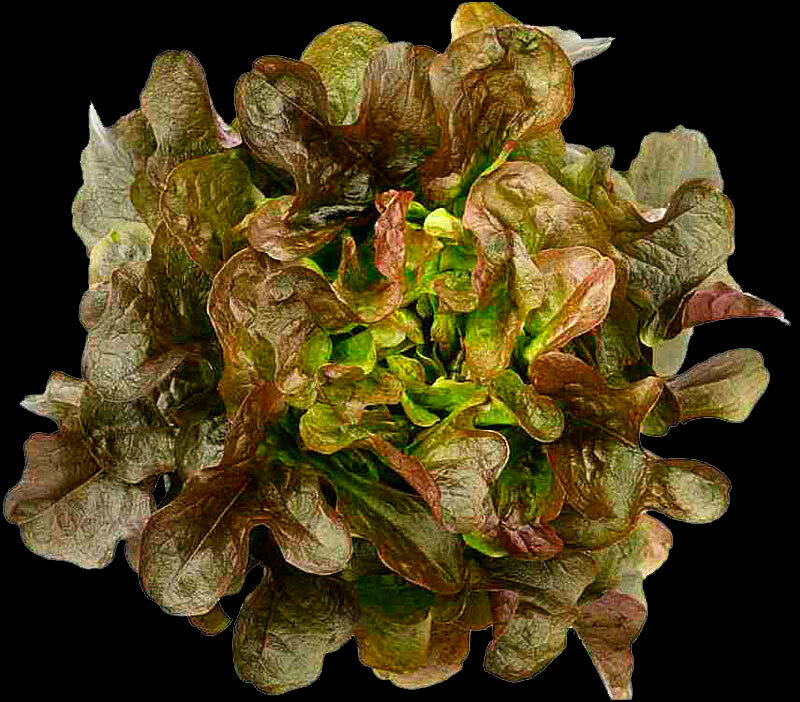 Leaves wilt, toughen, and get bitter if the plant becomes water stressed in heat. 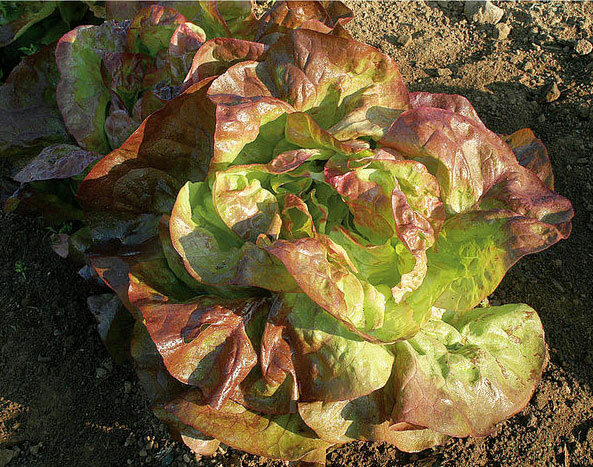 Grow loose leaf varieties that are heat-resistant or slow-bolting, rather than varieties that form heads. 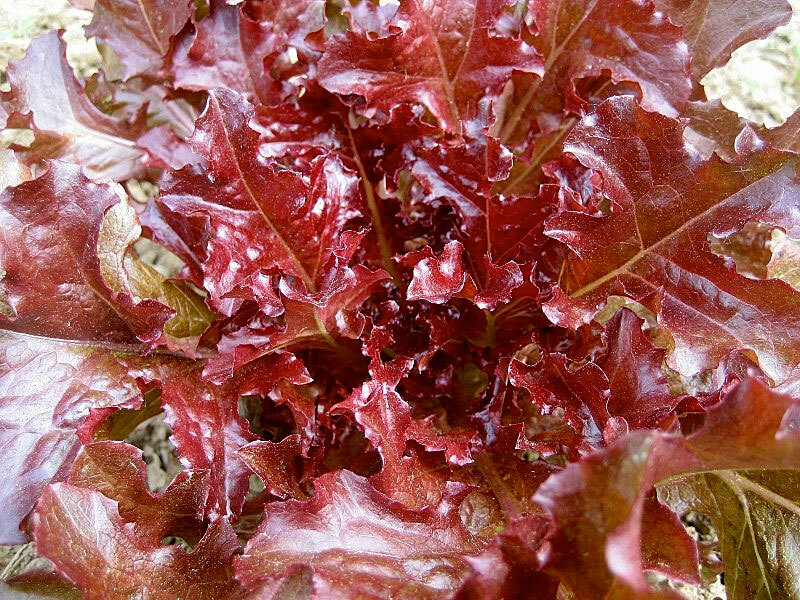 We had success with 'Jericho', 'Red Cross', 'Nevada', 'Paradai', 'Merlot', and 'Year Round Bronze Oak Leaf'. See them in green text in the tables below. Use transplants or germinate seeds indoors in containers away from heat. Don't skimp on water. 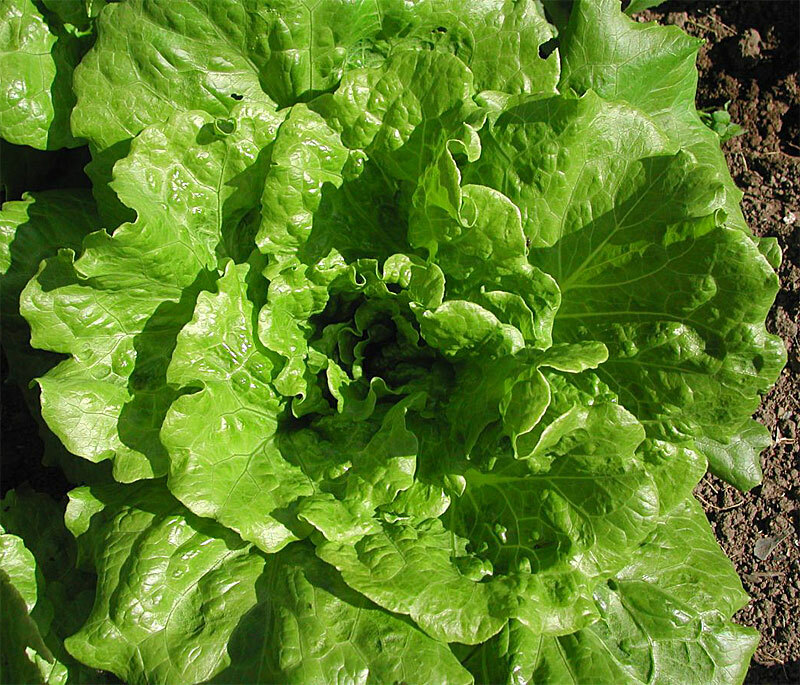 Keep lettuce growing fast to prevent wilting, premature bolting, and bitterness. 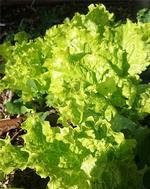 A light organic mulch keeps leaves off the ground. Find seed sources online by searching on the plant names. 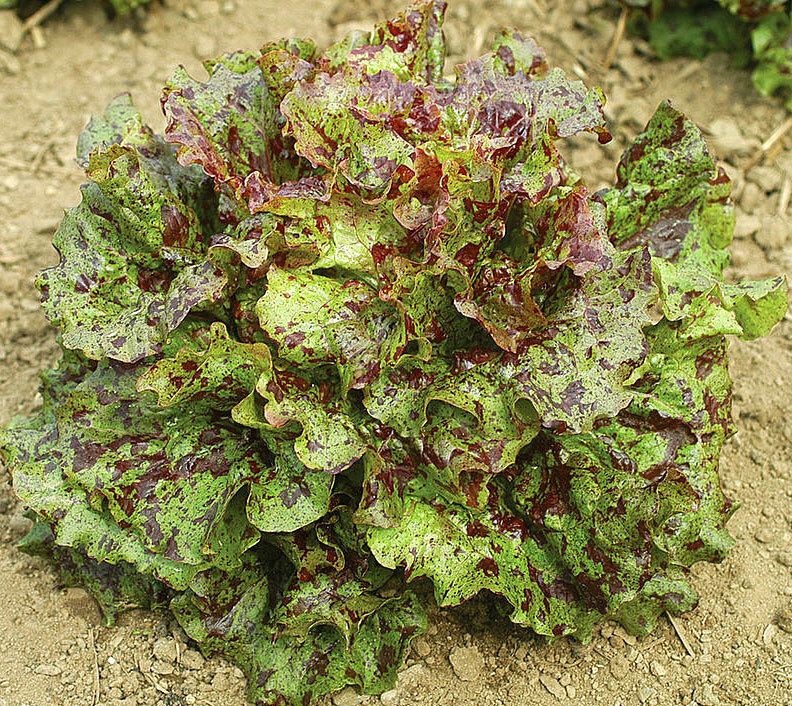 Varieties We Grew in Summer--How Did They Do?